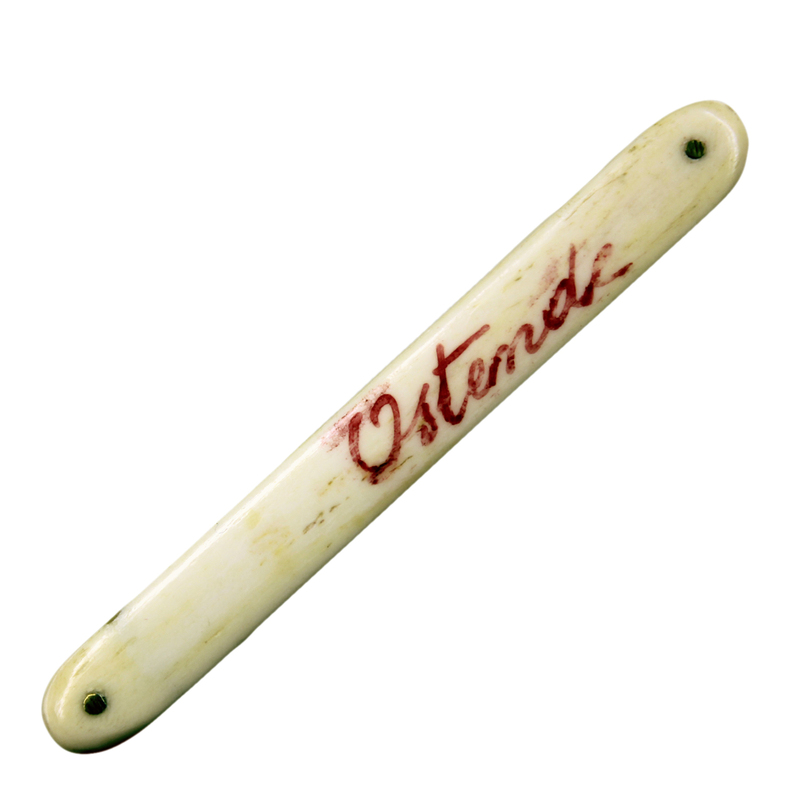 Late 19th century souvenir of Ostende, Belgium, this unusual bone manicure combination tool is in excellent condition. 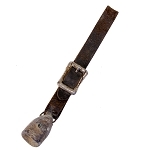 It is comprised of 2 bone implements and a metal nail file. 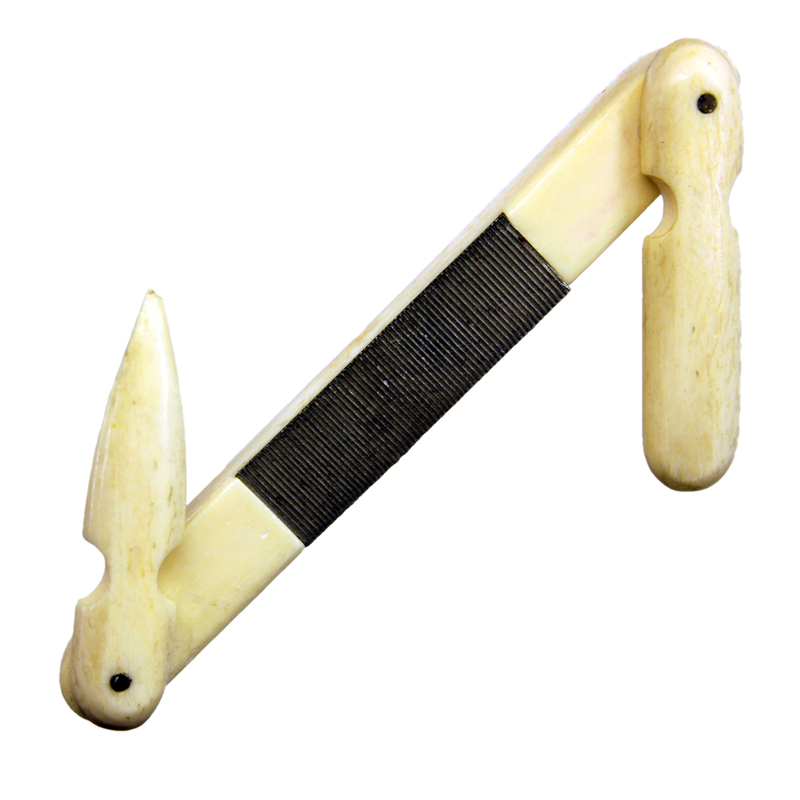 The bone tools are purposed for cuticle pushing, cleaning and shaping and for cleaning dirt from under the fingernail. 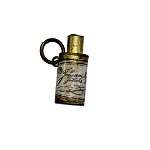 The tools are pinned to the handles with brass and swivel out for use. The front handle face is painted in red with the word "Ostende". The paint is only slightly worn and very legible. 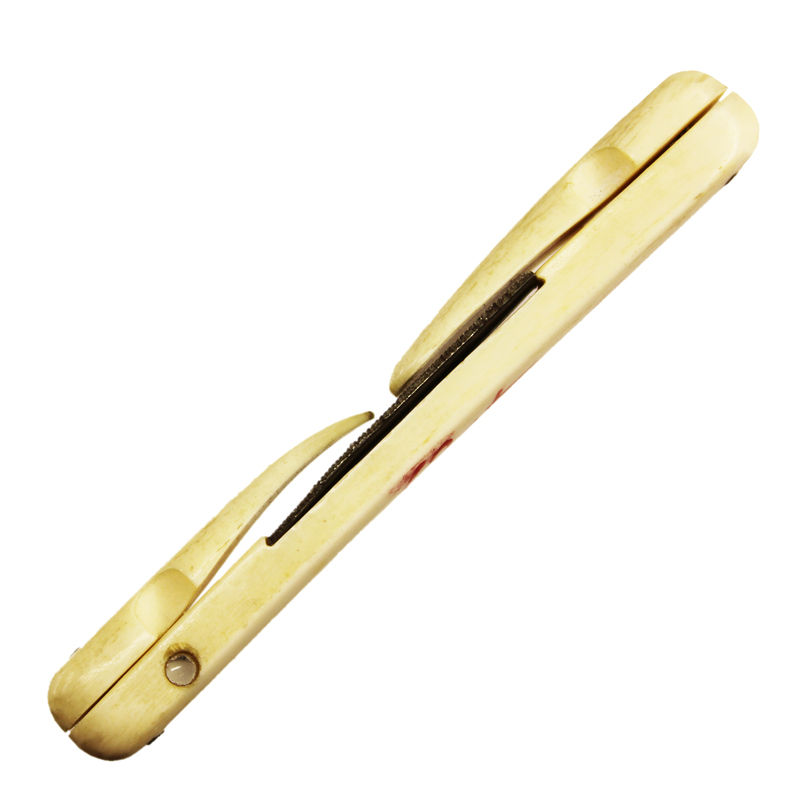 The stanhope is positioned sideways through the handle. 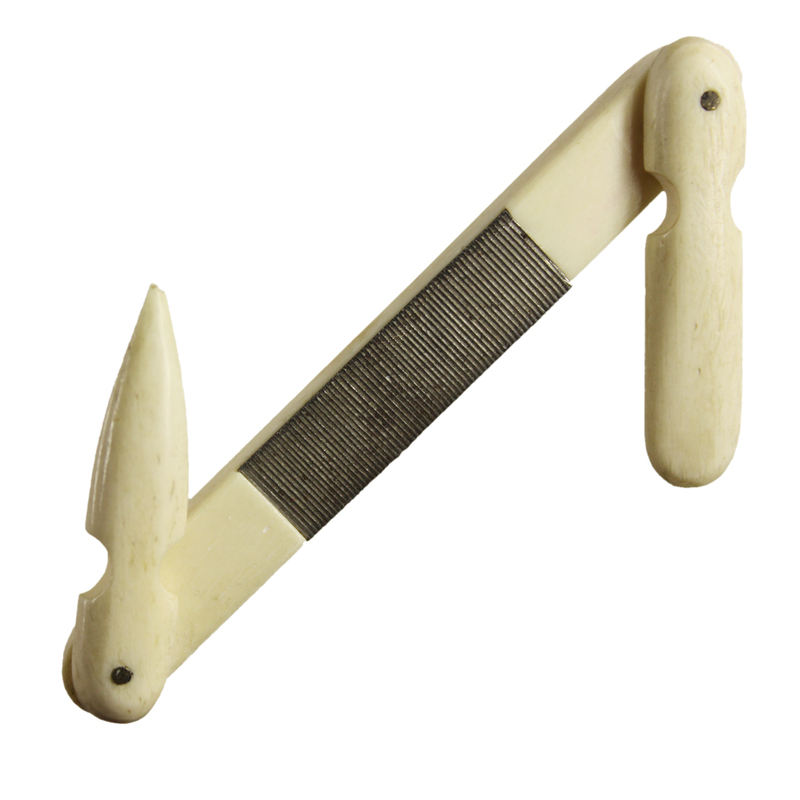 The design of this tool varies greatly from most other stanhope manicure sets. The blades are and handle are shaped differently than other versions. The stanhope lens offers 4 views of Ostende Belgium. It is titled below the microphoto "Souvenir D'Ostende". 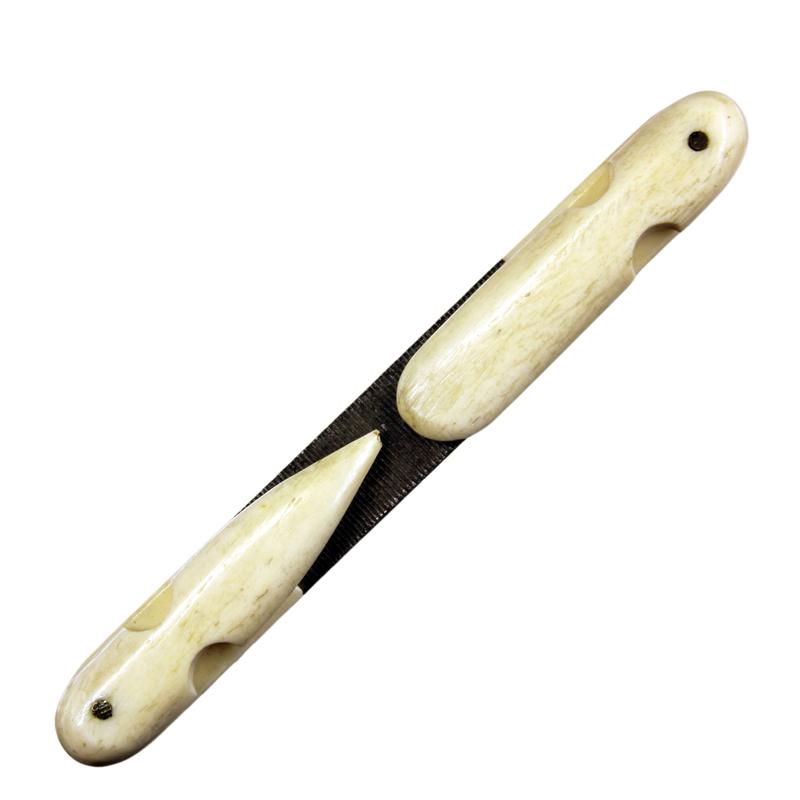 This unusual design bone stanhope manicure set was a tool often carried by travelers in the mid 1800's through the early 1900's and was originally sold as a souvenir in a place like a gift shop or hotel. It is in very nice condition and was well kept, exhibiting only minimal wear and patina. The stanhope is clean but the lens is a tad blurry which is quite uncommon. We could likely restore it to make the view perfectly clear, but that would require making a new magnifier and would require additional cost to the buyer.